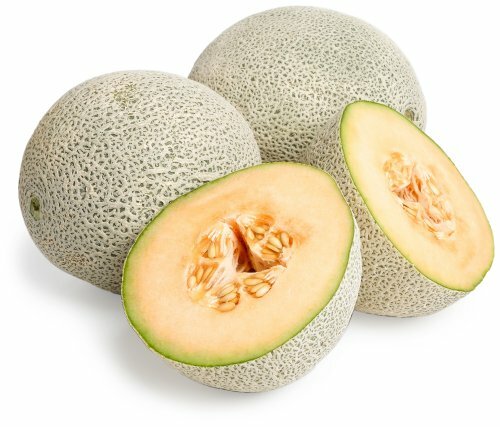 This orange-fleshed fruit is the most popular variety of melon in the U.S.
Cantaloupe melon softens and becomes even more flavorful after spending a day or two on the counter. To determine whether it’s ready to serve, smell the stem end of the fruit. 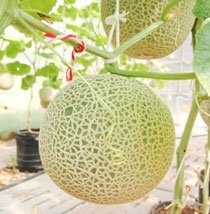 It should have the sweet scent that makes it such a hit among fruit fans. 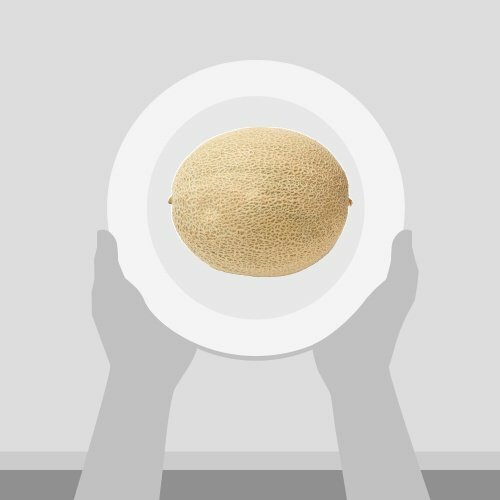 Once it’s ripe, cantaloupe is best kept in a cool, dark place or in the refrigerator. 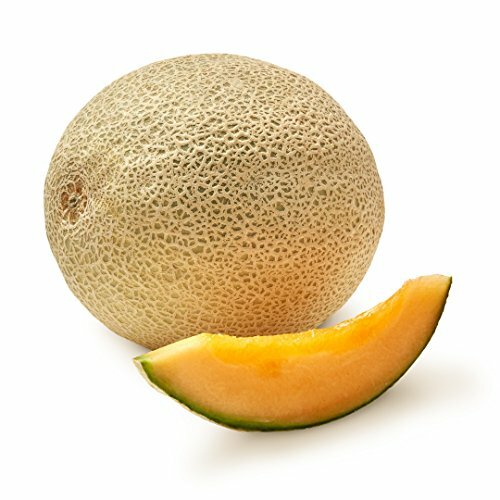 Purists use the cantaloupe as a bowl, eating the pale orange fruit directly out of this halved melon, sometimes even adding ice cream. Add a fiery kick to this luscious fruit by sprinkling slices with a chili salt, bringing together the winning combination of sweet and heat. It’s a sure-fire way to wake up guests at brunch and also works as a surprising garnish for tropical cocktails when cut into chunks and skewered on a toothpick. Watch a video to learn how Amazon works with local farmers to bring you the best quality produce available. View our fruit or vegetable seasonality charts to see what’s tasting great right now.